I am teaching all the band classes (5-12) as well and middle school and high school general music classes and 3-4 General music. 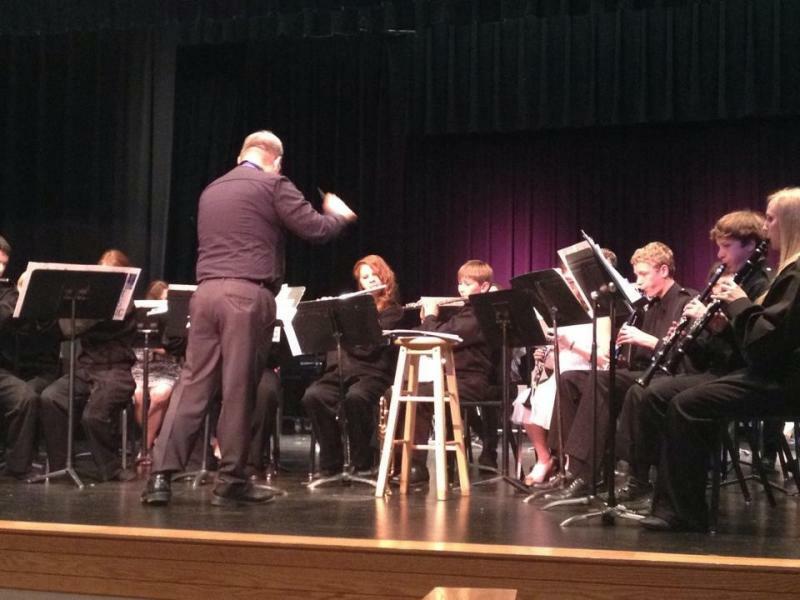 For the previous 7 years, I was the director of Bands for the Parsons, KS school district. The district had a struggling band progam when I took it over. We built it up to a comprehensive band progam that included an award winning marching band and concert band as well as a competitive winder drumline and an excellent pep band for basketball season. From 2001 - 2008, I was the Director of Music for Labette Community College in Parsons, KS. Again taking a struggling program and rebuilding it into an excellent multi-faceted music program.